This is an outstanding shot where you can make six balls with each going into separate pockets. It is a real crowd pleaser. Freeze the other four balls to the 1 and 2 respectively as indicated with the small dotted lines. 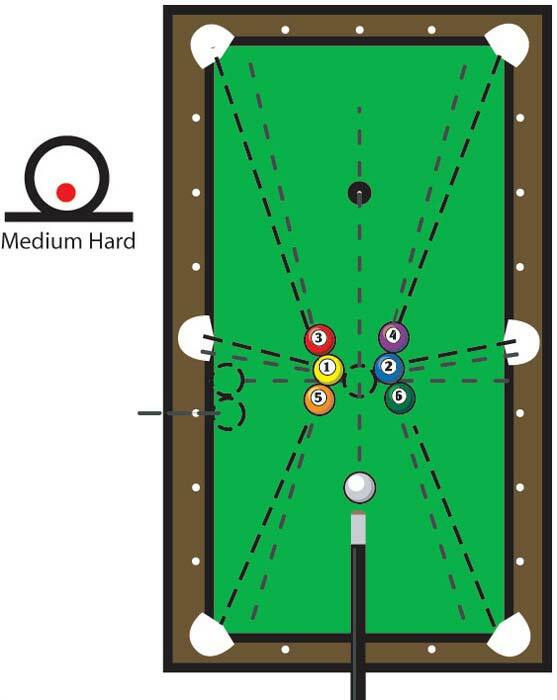 Tap all six balls in place and reposition “whitey” in the center of the table as indicated.